Families with children between the ages of 2 and 5, have probably seen or at least heard about Vampirina. The young vampire has been a big hit with kids, especially girls, raking among the top five series on TV for that demographic. Now Vampirina is coming to the Disney Parks, and just in time for Halloween. 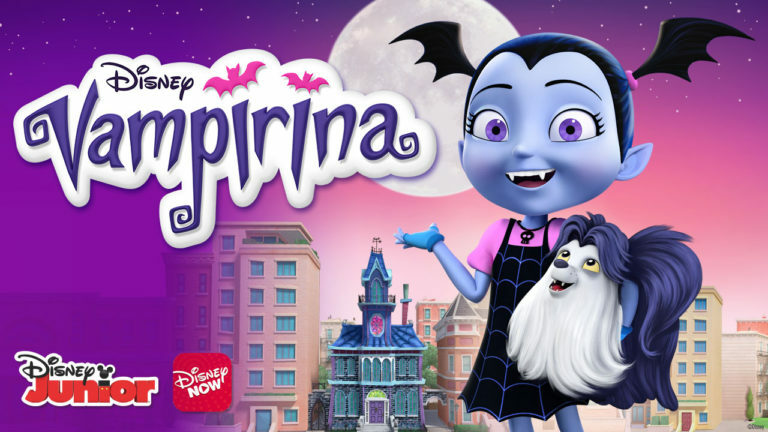 The Disney Parks Blog has announced that Vampirina or “Vee” is making her way to both the Disneyland and Walt Disney World Resorts this fall. Starting on September 7th guests will get to meet her at Disney California Adventure, then later this year she’ll be joining the energetic cast of Disney Junior Dance Party! in Hollywood Land. Guests attending Mickey’s Halloween Party will also see her in the Frightfully Fun Parade. Starting on September 30th at Hollywood Studios, Vee will join her Disney Junior pals for character breakfasts at Disney Junior Play ‘n Dine. Later this fall, guests will have a chance to meet her in the Animation Courtyard, and of course, she’ll be part of the fun at the all-new Disney Junior Dance Party! 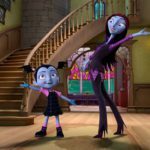 “Vampirina blends spooky fun, heartfelt storytelling and Broadway-caliber music in stories that follow Vampirina (aka “Vee”) as she faces the joys and trials of being the new kid in town, including making friends and attending a new school in the human world. Along the way, Vee learns that it may be easier to blend in with her peers, but it’s more valuable to celebrate the qualities that make each individual unique. 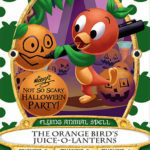 Orange Bird will make his Sorcerers of the Magic Kingdom spell card debut this fall. Guests attending Mickey’s Not-So-Scary Halloween Party can pick up the exclusive card when they register to play with their event ticket. 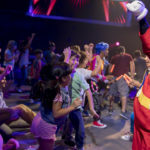 The Disney Junior Dance Party! coming to Hollywood Studios later this year, will feature characters from kids’ favorite shows including: Doc McStuffins, The Lion Gaurd, Mickey and the Roadster Racers, Vampirina.